Liberia President George Weah's former club Invincible Eleven has been relegated to the country's third tier after failing to pay a fine of US$909. LFA statutes say fines must be paid before the club's next match and failure to do so could lead to "appropriate disciplinary actions, including fines, expulsion and relegation." The LFA decision also means that all eight of Invincible Eleven's results in the league so far this year will be removed from the records. 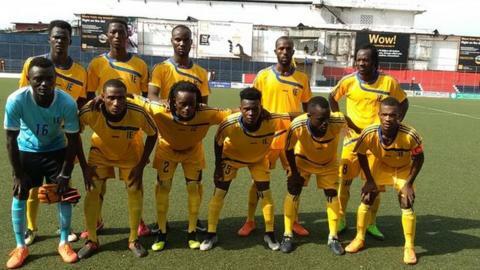 They were relegated from the top-flight at the end of the 2016-17 season, alongside another of Liberia's biggest clubs Mighty Barolle, who also have 13 league titles.